Yesterday was my last day of work until January 3rd. We typically get "dismissed" early the day before a holiday and yesterday was no exception. We got to leave at 3:30 and I was super excited because yesterday was the opening day of Black Swan here in Myrtle Beach. I had originally planned to see the matinee today. I hate a crowded movie theater and figured it would be less empty during the day. So, I was excited that Veronica was off and I was dismissed early so that we could go watch the 4 o'clock showing. I was not disappointed with the film. I was afraid that I would be since I had anticipated it so much. Usually when I do that... build something up... it disappointments me because of such high expectations. I will say that this movie probably isn't for everyone. It is one of those movies that is open to interpretation. There are also parts of the movie which are graphic in an almost you-want-to-cover-your-eyes kind of way. It is a story within a story... the main character is the lead role in the ballet Swan Lake and must learn the part of both the white swan and the black swan. 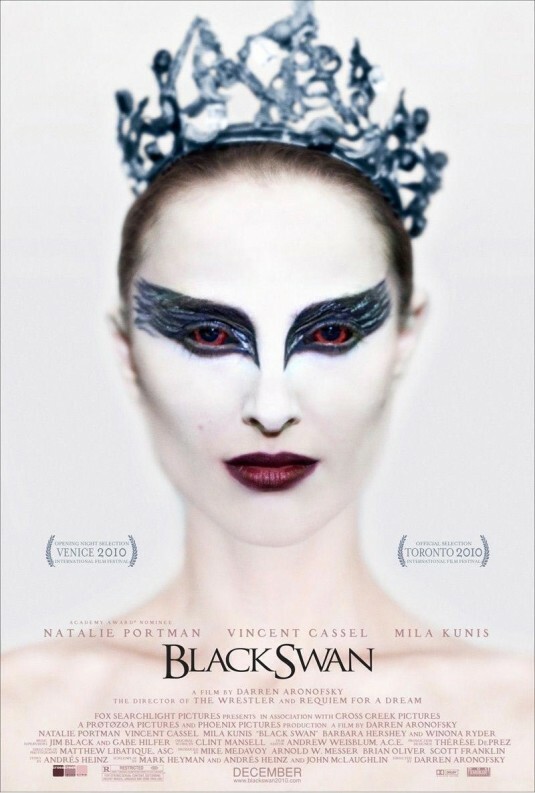 The plot of the movie also follows the same story line of the classic ballet... meaning that the movie in itself is a modern day version of the plot of Swan Lake. I have never seen the ballet, but I familiarized myself with the storyline before seeing the movie. I am glad that I did because I feel I would have been completely lost if I hadn't. They explained the plot of the ballet in the movie but not to great detail. I still feel it is a movie that I probably need to watch several times before truly understanding it. It is definitely one of those movies that leaves you asking questions. On a side note: the acting is incredible. 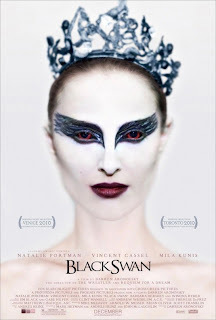 The actual dancing performed by Portman was just okay aside from the final scene... but that is to be expected. Also, she lost an insane amount of weight for the movie. It is crazy how actors/actresses can do that. Another side note: I just read that she was born in Isreal and her dad is a native. I can see it now that I know it. Weird. I also saw two previews that sparked my interest & I'm excited about... The Adjustment Bureau and Limitless. Check out the previews when you get a chance.